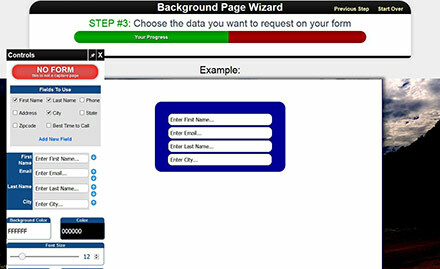 Easily create landing pages, capture pages and normal web pages with just a few clicks using our landing page wizard. 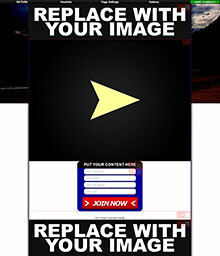 Create an attractive email capture lightbox that is fully editable and easy to install. 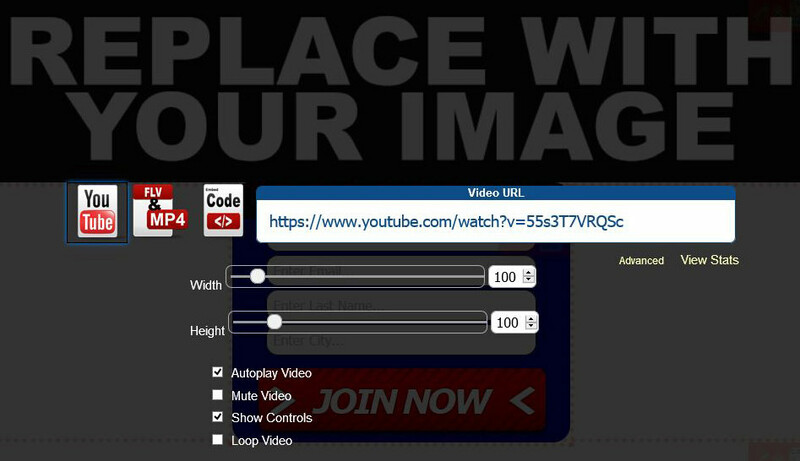 You can easily add videos, images, html, or anything else into the box. 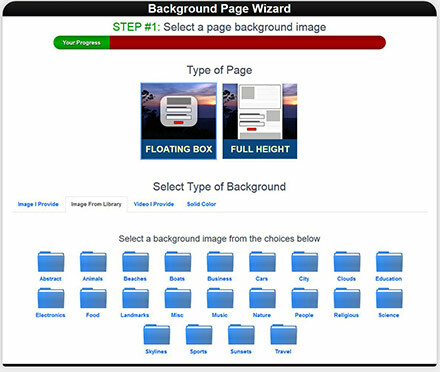 With the background wizard it is easy for anyone to quickly create their own lightbox with email capture. Now you understand how it works. After the countdown finishes it shows the content! 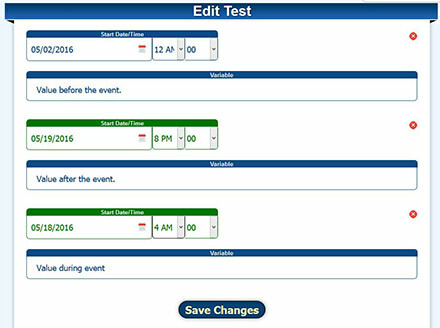 Easily add a countdown timer to your page and have it show additional content once the timer is complete. Select where you want it placed and how long should countdown. For example: You can have it where a person watches a video and once the video is finished a button appears below the video to proceed. It could also be additional instructions, an order form, another video, or anything you want. Once the countdown finishes you can have the contact is added to a specific contact group to easily identify them or activate a series of marketing emails. Easily create your own image slider for your web pages. Select the width and height then upload images and select an effect (like fade in, or swipe, or box cutter, etc) and then it is ready-to-go. You can easily swap out images at anytime. Setup content that changes on specific dates. For example, you can have it play one video up until January 14, then on January 14 at 3pm show a new video, and then yet another new video on January 24 at 10am. The amount of times you can specify for the content to change is endless. This is great if you are promoting an event or something on a specific date and you need the content to update several times before that date. You can setup everything at once and then the content will automatically change on it's own at the appropriate time. We offer our own autoresponder so you do not have to use a 3rd party autoresponder. However, if you prefer, you can use a 3rd party autoresponder. We easily integrate with most popular 3rd party autoresponders such as Aweber, Constant Contact, GetResponse and MailChimp. We provide a what you see is what you get editor (WYSIWYG) to allow you to easily edit the content on any of your pages. No html or coding knowledge is needed. If you are comfortable using Facebook then you will be comfortable editing your own website using our web based website creator. Our WYSIWYG editor is full of features to allow you to do almost anything such as adding links, images, videos, tables and more. 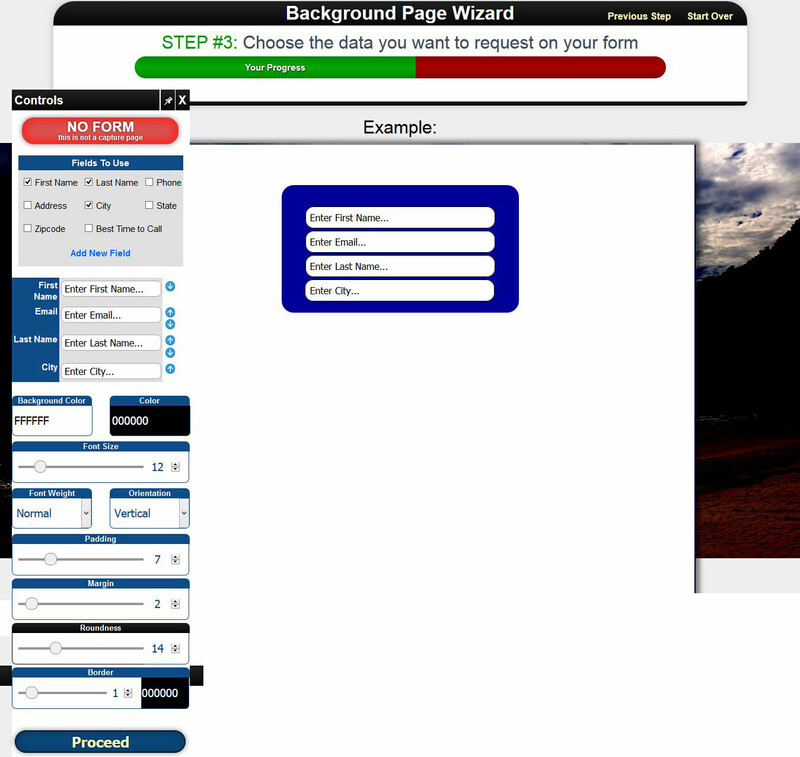 It is convenient to edit your website using our web based website creator. You can edit your site anywhere you have internet. You can even edit your site using your mobile phone or tablet. We have 1000+ ready-to-go templates that you can edit with your own content. In addition to web page templates we also have templates for sections of your pages like video players, content boxes, and more. We also have a graphics library full of different shapes, icons and images that you can use. We have everything you need to quickly setup a good looking website!